Toronto, ON, Canada – May 31, 2017 – Today, MeazureUp welcomes the independent restaurant group, Taste of Belgium as their newest customer. Taste of Belgium will join the journey to optimize brand consistency through MeazureUp’s digital field audit solution. With six thriving locations, Taste of Belgium, known for their authentic Belgian waffles, recognizes the benefit of establishing secure infrastructure as a foundation for organizational growth past the greater Cincinnati area. Jean-François Flechet, Founder and President of Taste of Belgium, draws from his Belgian roots to prepare a variety of gourmet waffles and crepes in addition to bright salads and other American classics. In overseeing numerous locations while simultaneously trying to increase brand awareness, Jean-François recognizes just how valuable his time can be: “Between travelling from location to location and presiding over daily operations, there’s not enough time to focus on brand growth and awareness. By partnering with MeazureUp, I know that each of my restaurants is being run the way I want it to be run AND I have a way of measuring how successful my operational strategy is. Now, I can shift my focus to growing Taste of Belgium successfully”. MeazureUp is looking forward to working with Jean-François and the rest of the Taste of Belgium team! 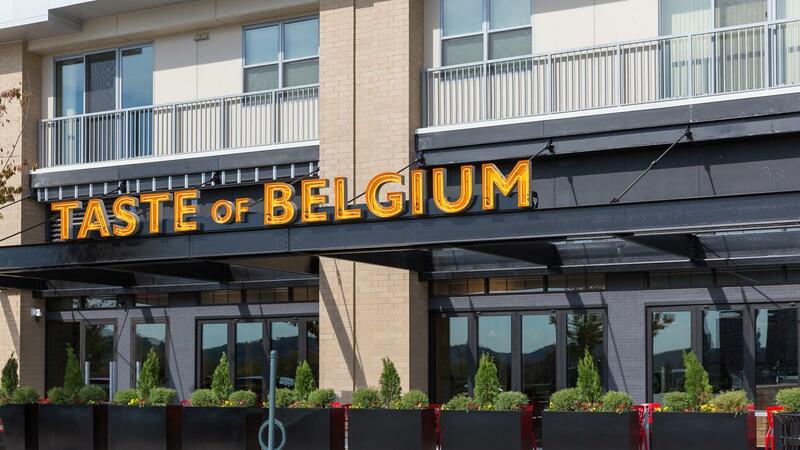 Taste of Belgium is an independently owned, Cincinnati original restaurant group. Their goal is to offer creative Belgian food, the best curated beer list, and an environment where team members can flourish. Their scratch kitchen celebrates traditional recipes while offering a fresh creative perspective as evident in menu items like Liège Waffle and Chicken and The Bel-tucky Hot Brown. Taste of Belgium has grown from one person and a waffle iron to 4 bistros, 2 market stands, and we are poised for more. For information, visit the https://authenticwaffle.com/ #respectthewaffle! MeazureUp is a cloud-based software company assisting over 75 brands and thousands of locations manage their operational consistency. Using the MeazureUp solution, organizations can gather internal information with detailed analytics and operational intelligence using a digital platform. With users across North America currently on board, MeazureUp can help management and district managers focus on their core concern, growing their business. For more information, visit the www.meazureup.com or contact info@meazureup.com with any questions.